The Book of Shemot concludes with this Parsha. After finishing all the different parts, vessels and garments used in the Mishkan, Moshe gives a complete accounting and enumeration of all the contributions and of the various clothing and vessels which had been fashioned. 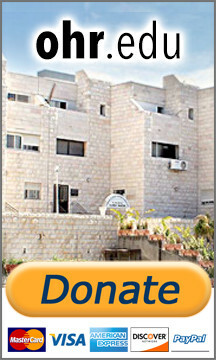 Bnei Yisrael bring everything to Moshe. He inspects the handiwork and notes that everything was made according to G-d’s specifications. Moshe blesses the people. Hashem speaks to Moshe and tells him that the Mishkan should be set up on the first day of the first month, i.e., Nissan. He also tells Moshe the order of assembly for the Mishkan and its vessels. Moshe does everything in the prescribed manner. When the Mishkan is finally complete with every vessel in its place, a cloud descends upon it, indicating that G-d's glory was resting there. Whenever the cloud moved away from the Mishkan, Bnei Yisrael would follow it. At night the cloud was replaced by a pillar of fire. Amongst other things a beracha must include is the Hebrew word which means “Lord”, which comes from the root Adon.In the construction of the Mishkan, (the portable Temple on which G-d caused His Presence to dwell) there were exactly one hundred “sockets.” These sockets were called adonim. What is the connection between the hundred adonim and the hundred times that we call G-d by the name Adon in our daily blessings? Just as the adonim were the foundation of the Mishkan through which G-d bestowed his Holy Presence on the Jewish People, so are our daily blessings the foundation of holiness in our lives.